If you’re looking for an awesome, adrenaline-packed holiday, why not try out some of the adventure destinations in North India? Sure, India isn’t an obvious choice when you’re looking for great adventure sports. But, that doesn’t mean that you won’t find any here! You’ll find some fantastic options for adventure. In North India in particular! And not all of them are the same level of crazy. So even if you’re looking for something a little more relaxed (or family-friendly), there’s no more looking. It’s right here! Imagine sailing over a gorgeous old fort! Getting a literal bird’s-eye perspective over it and an adrenaline rush all at the same time! Well, in Jodhpur, you can do just this. 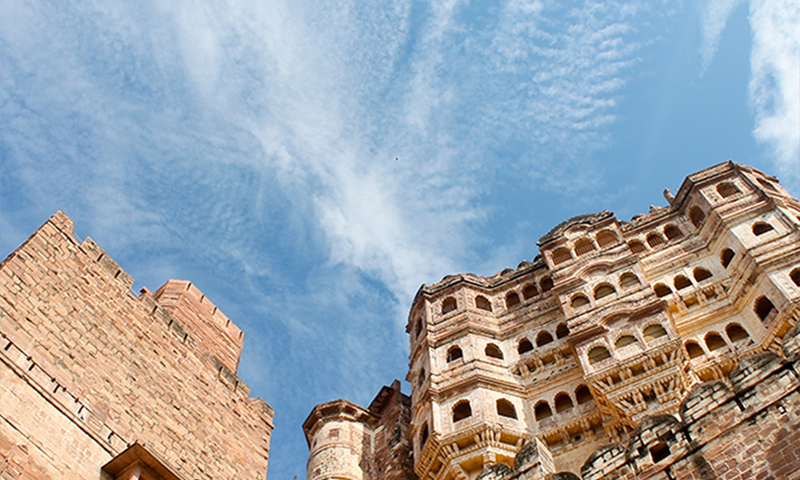 Flying Fox Jodhpur has a six-line course set up over the stunning Mehrangarh Fort. 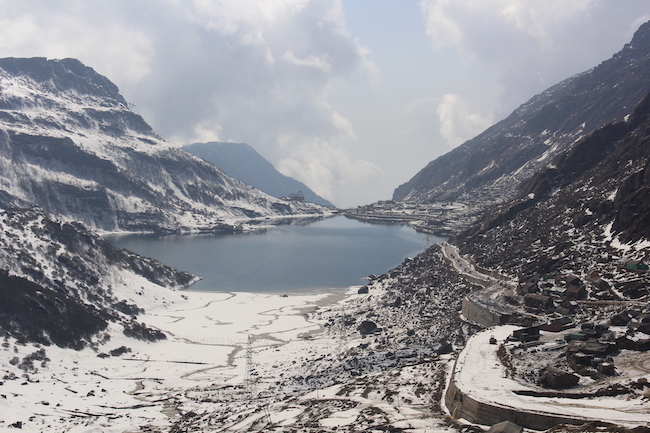 It’s a mix of the location, and the experience, that makes it one of the top adventure destinations in North India. You’ll be perfectly safe as you zip over lakes, Rao Jodha Park, and, of course, the fort itself. It’s a great activity for all age-groups, too. And perfect for a family holiday! If you’re looking for a more extreme option, bungee jumping’s probably more your style. Bungee jumping in Rishikesh is probably the most extreme adventure in North India, and, before you ask, yes, it’s safe! Jumpin Heights has been set up to conform to Australian and New Zealand safety standards, and it’s run by ex-Army officers who ensure that all the jump masters are well trained, and proficient in first-aid in case of an unforeseen emergency. Safety aside, Rishikesh provides a stunning backdrop for a bungee jump – if you dare to keep your eyes open and your wits about you as you fall, that is! The waters of the holy river Ganges cascade down all the way from the Himalayas, rushing downhill until they level out in the plains. Up-river, just outside Rishikesh, you can jump into rubber boats and tackle the rough-and-tumble rapids amid the most beautiful surrounds. You can club this with the bungee jumping for a more well-rounded adventure in North India. Outdoor adventures aside, though, this stretch of the Ganges is truly gorgeous – clear waters that look turquoise or green depending on the light, and white sand banks that you want to dig your toes into! If you look up at the skies over the little Himalayan hamlet of Billing, you might just see brightly-coloured parachutes floating through the air. This unassuming town is the take-off point for paragliders making their way down to Bir, soaring over some truly spectacular landscapes along the way. This gentle adventure is perhaps the closest most of us will ever get to flying, and if you’re going to take to the skies, we can think of few better places to do so than with the majestic Himalayas in the background! We love busting myths and misconceptions about India, so here goes another one – India does, in fact, have a ski culture! Venture up to the beautiful slopes around Gulmarg in Kashmir (or even Auli in Uttarakhand) and you’ll know exactly what we’re talking about. No list of North India adventure holidays would be complete without mentioning the skiing that you’ll find here. You’ll find everything from bunny slopes for absolute beginners to good intermediate courses and plenty of expert level skiing and backcountry opportunities up in Gulmarg, and Auli too, has great powder. Need more adventure travel inspiration? Have any questions? Get in touch, and we’ll help you out!